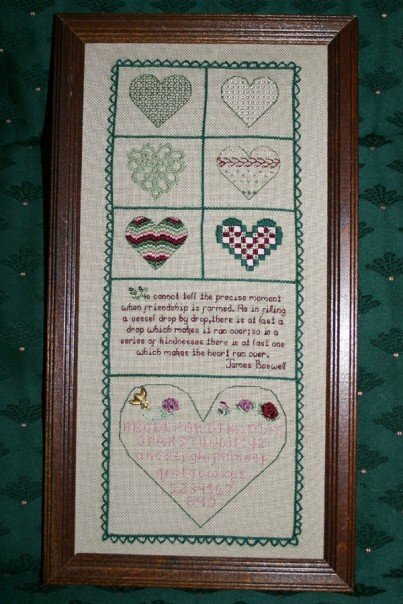 and I came across pics of this sampler I made for my friend Cheryl. 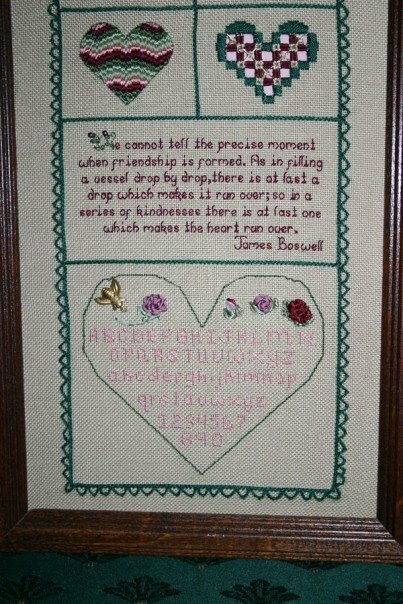 It was one of the first samplers I designed, and I’d like to think I’m a more accomplished embroiderer now, but every stitch was made with love for a dear friend! That’s got to count for something. I missed the Embroidery Guild meeting this month, because The Husband was working nights. I plan to go next month and get serious about pulling out my needle and thread again. I’ve been knitting and tatting since The Boy was born, and haven’t done nearly the needlework I used to.